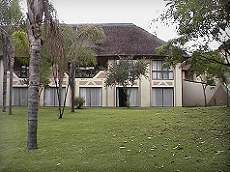 Sanbonai Resort and Hotel offers 50 Luxury hotel rooms, fully air-conditioned with DSTV, telephones and en-suite bathrooms. 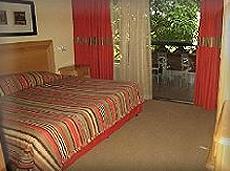 22 Twin rooms, 18 Standard double rooms, 2 Family rooms and 8 Executive rooms. 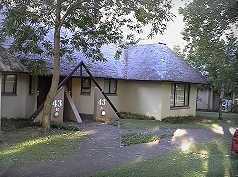 Situated on the Kruger Gate road, 1km from Hazyview. There are three adjoining swimming pools and baby pool - all fed from a natural, mineral hot spring. 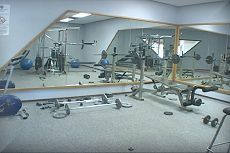 Other facilities include a ladies bar, a hair salon, curio shop / kiosk and a jungle gym for the youngsters. Sport facilities on offer include bowls, a gymnasium, squash court, two tennis courts and a 18-hole putt-putt course. 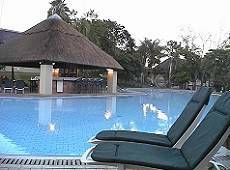 The Hotel also provide a laundry service, 24-hour security, reception service, Internet facilities and a Safari Desk. Day tours to the Kruger National Park and surrounding areas, as well as team building events can be arranged. The Restaurant serve a set menu, informal menu, or buffet and Boma Braai's with Shangaan dancers (optional). 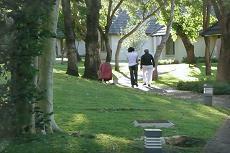 Eight, fully equipped self-catering chalets comprising two 3-bedroom units and six 2-bedroom units. Each of the chalets have a private balcony with built in braai area.